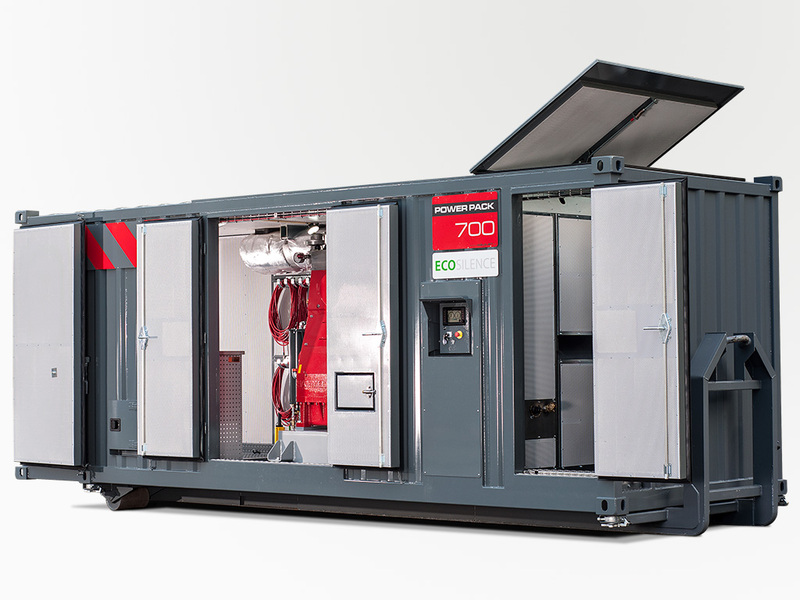 Power Pack ECOSILENCE is a super silent high-pressure unit, specially designed for Hydrodemolition in urban environments with highly regulated noise levels. It’s not only significantly quieter and more fuel-efficient than our standard packs, the noise output is less than half compared to other power packs on the market. 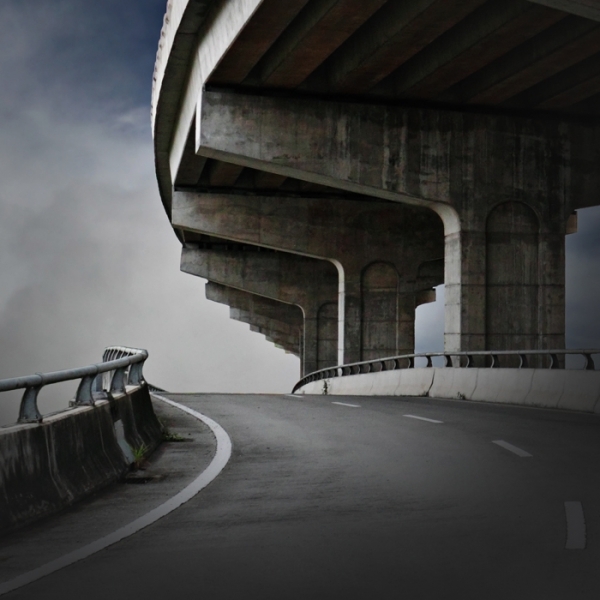 ECOSILENCE is designed to help contractors in several ways. First and foremost it meet increasingly stringent and imposed operational noise requirements in urban locations, such as residential and office areas. The average noise level is as low as 57,5 dB (ECOSILENCE 400). 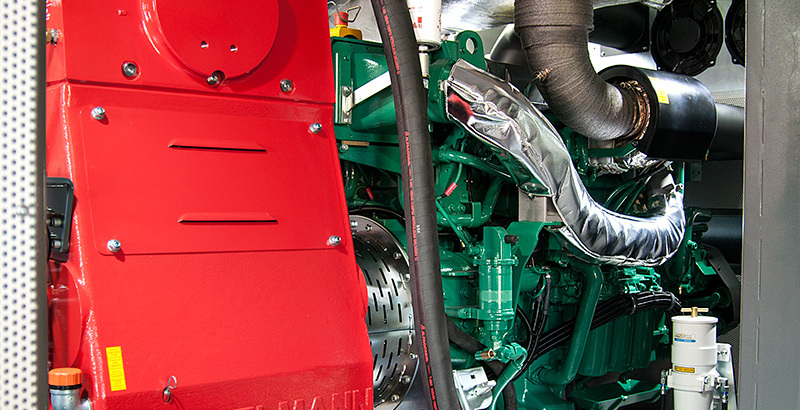 As a bonus, ECOSILENCE also offers a substantial reduction in fuel consumption. 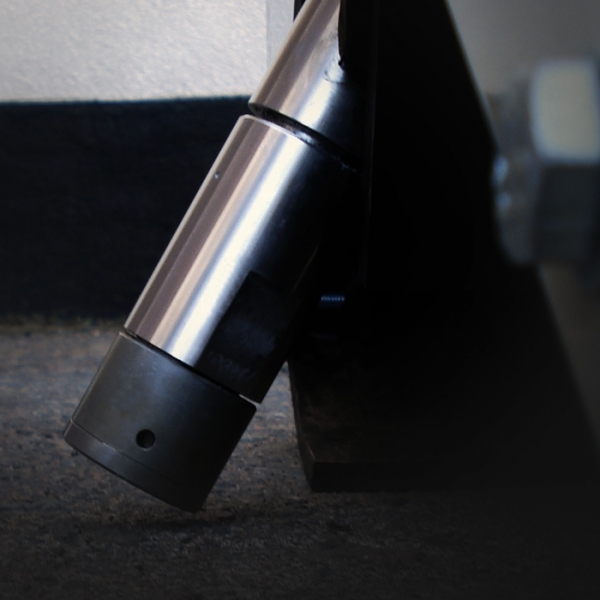 The Power Pack ECOSILENCE system provides easy handling for your robot, accessories, tools and other necessary equipment. It also require minimum space at the construction site and are cost effective in both transport and set-up time. 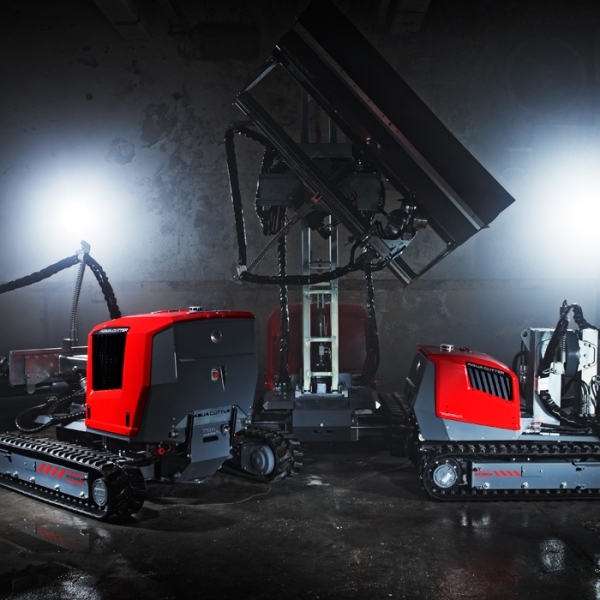 Basically it’s everything you’ll ever need for your Hydrodemolition contracts in one place. Silent and smart! *Other pressures and flows are available upon request. Our REVO Control system features all the functions you need to control and monitor the Power Pack. The system is safe and user friendly. Parameters are easily set on the graphic colour display with iconic multi-language operator’s instructions. 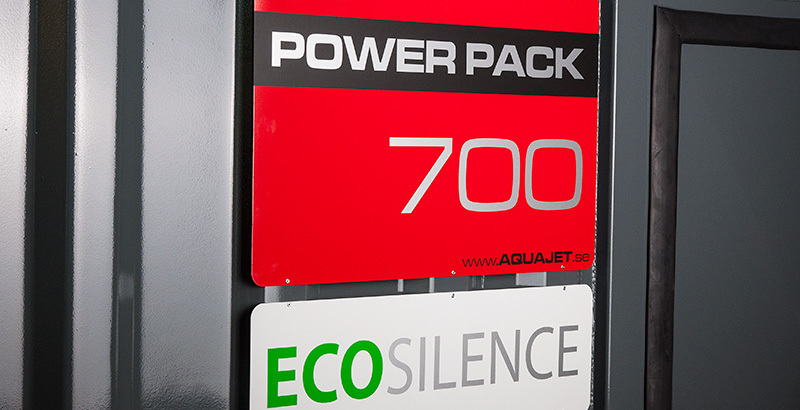 Power Pack ECOSILENCE are available in multiple versions: PP-250, PP-400 and PP-700. 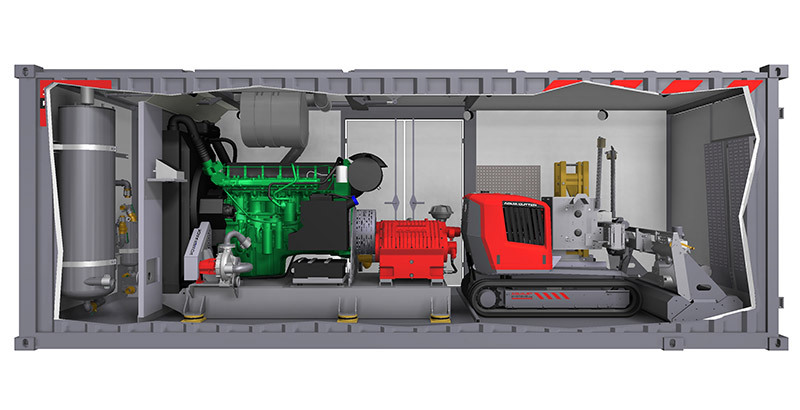 All versions have powerful diesel engines, high-pressure pumps and built-in diesel tanks assembled on heavy-duty welded steel frames. 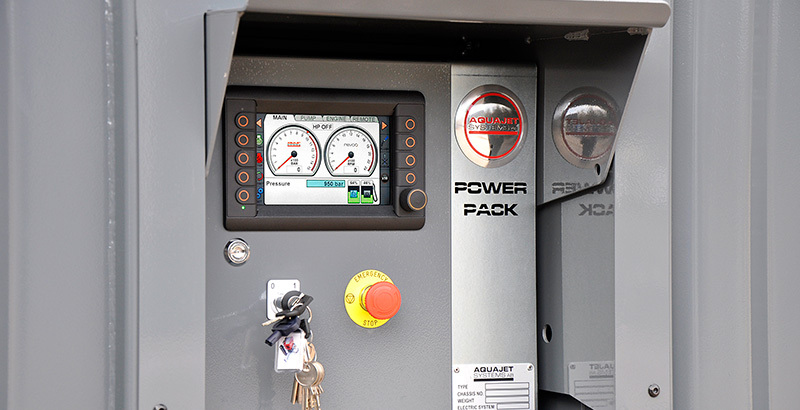 To operate a power pack you only need fuel and water supply. No external electric supply is required. 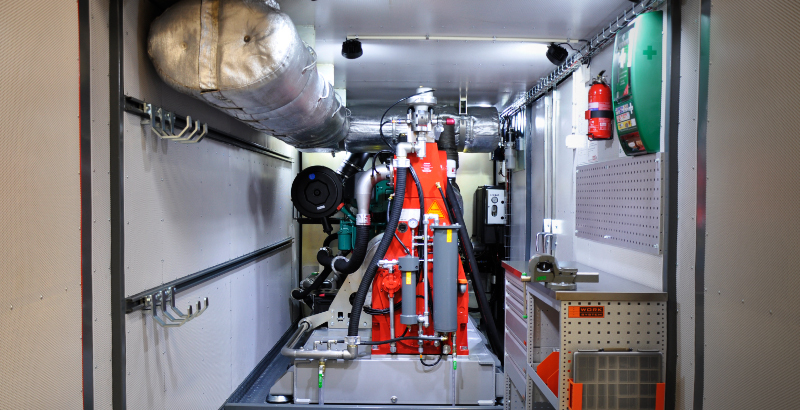 We use Volvo diesel engines (331-522 kW/1800 rpm) for all our ECOSILENCE packs. 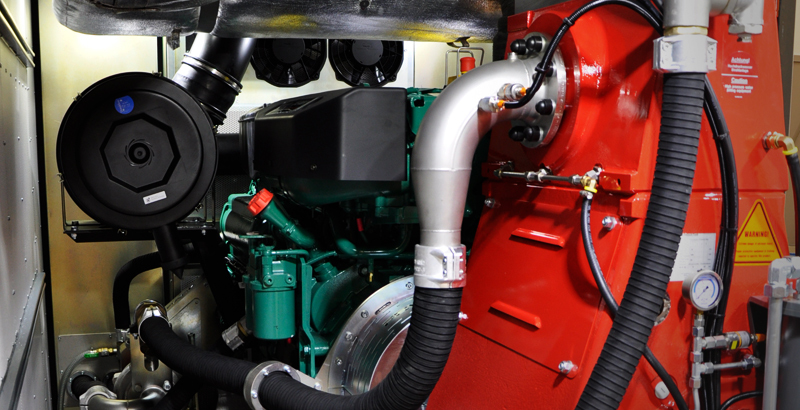 Engines from other manufacturers are optional and can be installed with specific requirements. The base frame is installed on vibration isolators to make the operation smooth and quiet. 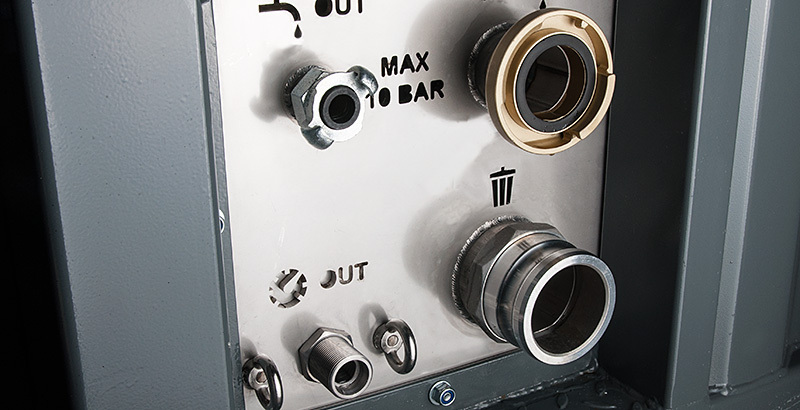 All pipes and fittings surrounding the engine area are made from stainless steel and none corrosive material. 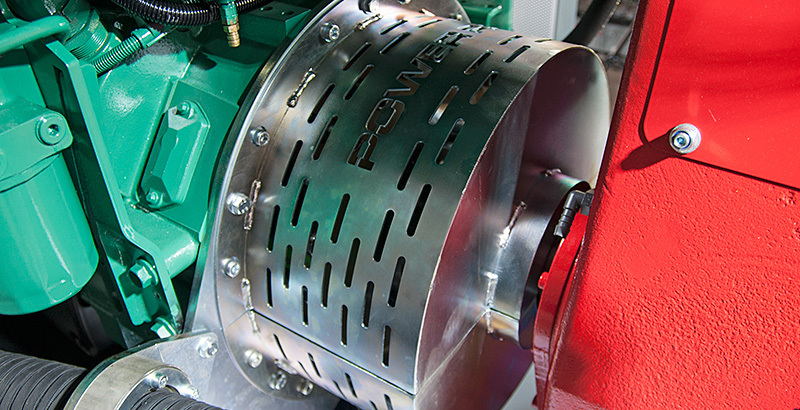 The diesel engine and the high-pressure pump are connected by means of a flexible coupling. Water inlet and outlet situated at the same place. 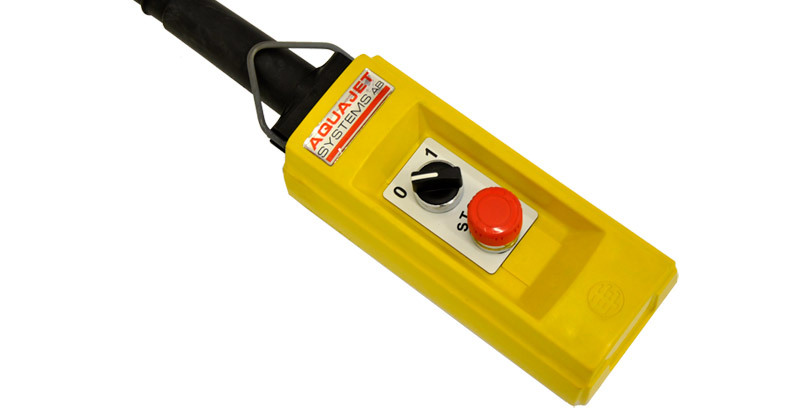 Our Power Packs features a remote control system with pressure on/off switch and emergency stop. 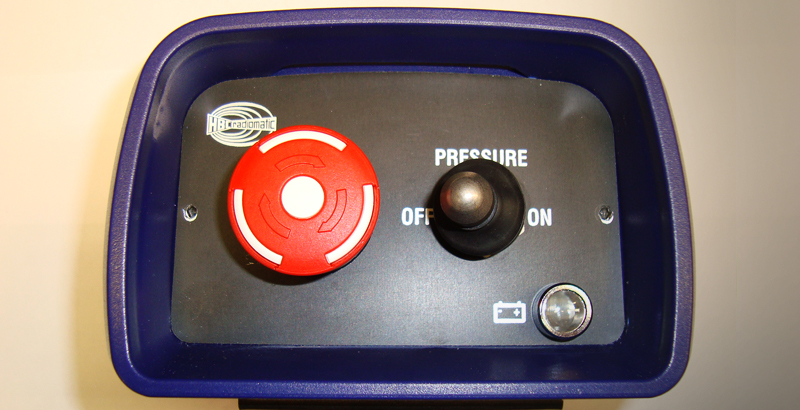 When the remote control is switched to off position the system will depressurize the pump and high pressure hose and reduce the engine rpm to low idle. 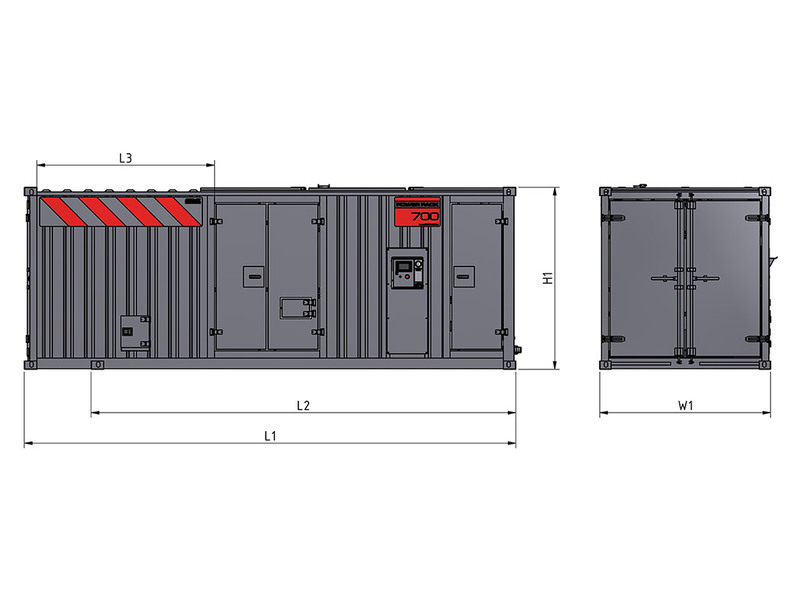 The container is sound insulated with acoustic surface treatment, thick sound absorbing insulation and seals for all doors and hatches. 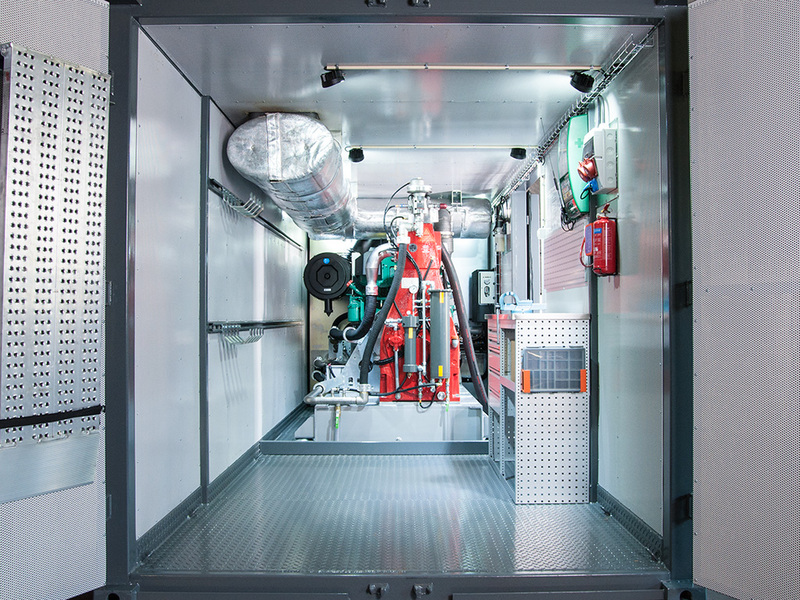 You can equip the container with a ”Roll off” frame, for easy on/off truck loading and transport. 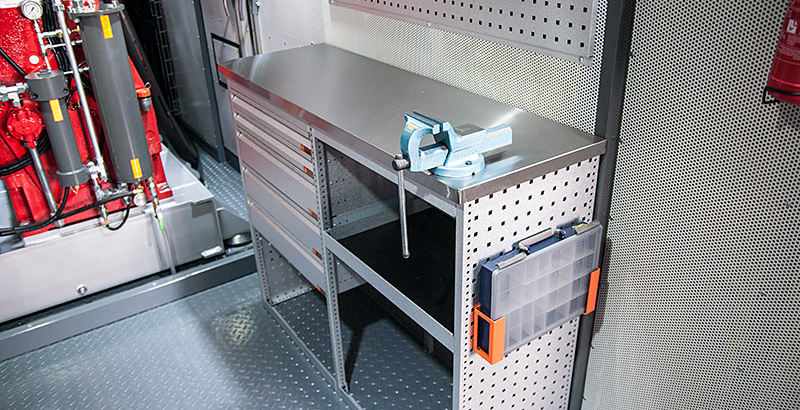 Every Power Pack has a built-in workbench with vice and a storage room for spare parts. A power pack also features a 24 V electric system for lighting (7 lights with LED). 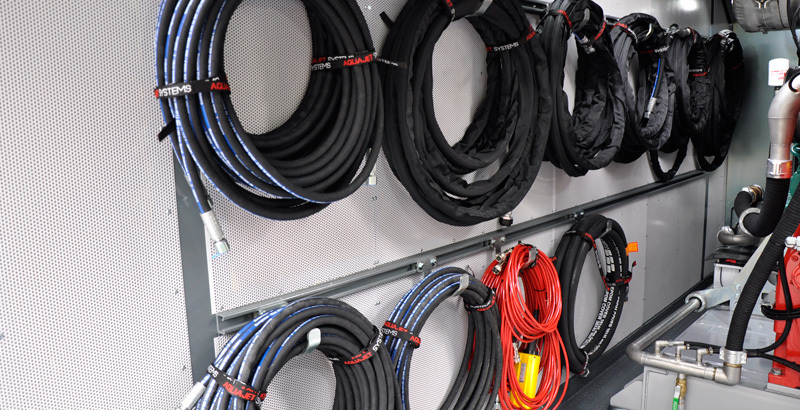 Movable heavy hooks for storing of HP-hoses and cables. 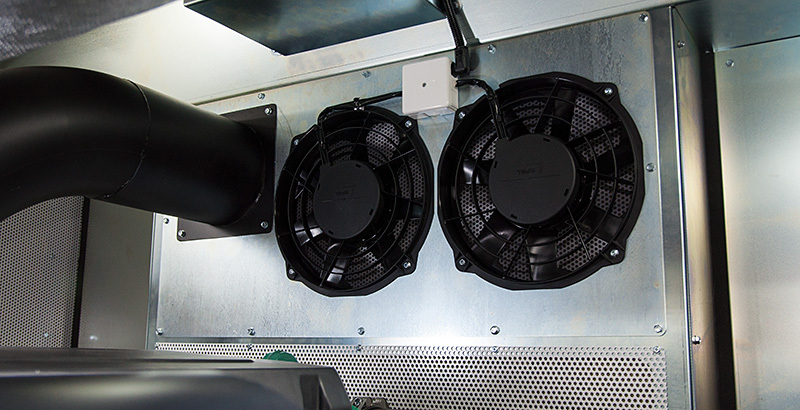 Ventilation system with sound baffles that exchanges the air in the container 2 times per minute. 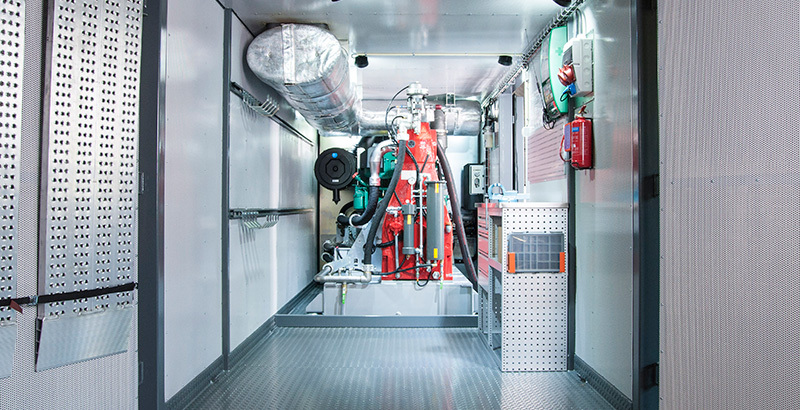 The engine is using an advanced heat exchange system instead of a traditional cooler. 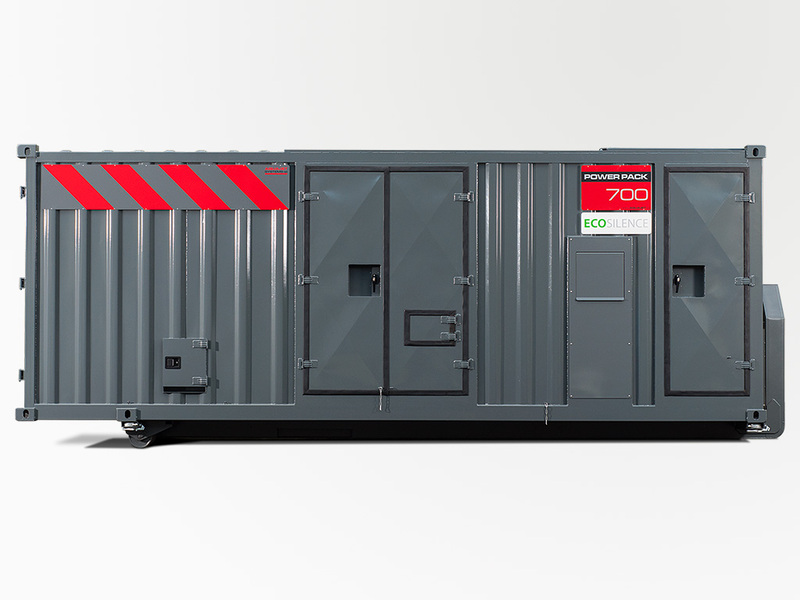 The container can be completely closed during operation. 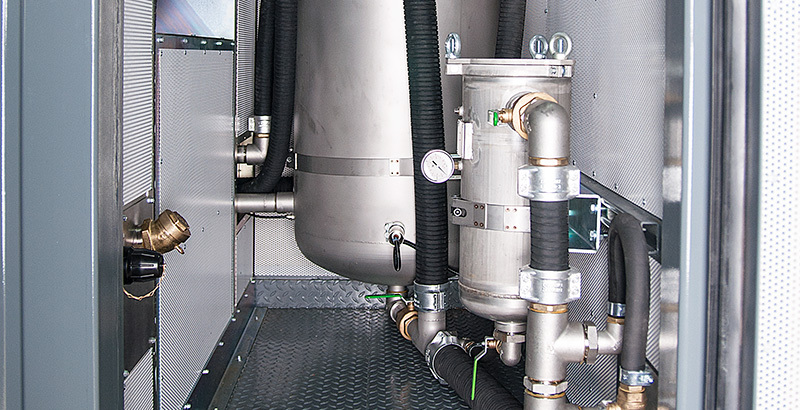 A stainless steel booster pump is mounted between the water tank and the high pressure pump to provide adequate inlet pressure. A bag type water filter prevents dirt particles from entering the system and pump. 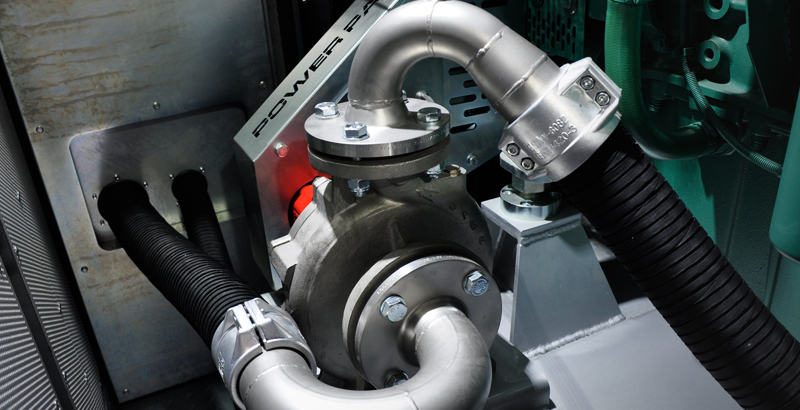 A booster pump is mounted between the stainless water tank and the high pressure pump to provide adequate inlet pressure. Special design water tank that centrifuges away air bubbles from the water, with level sensing and temperature control. 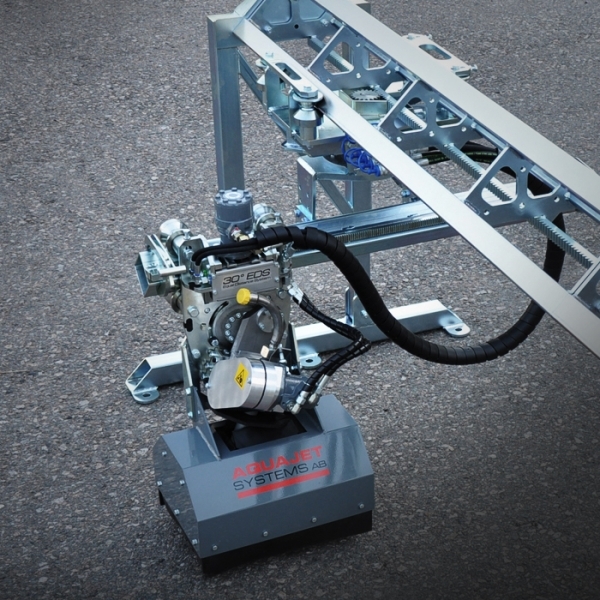 Automatic air bleeding (without bleeding valves). 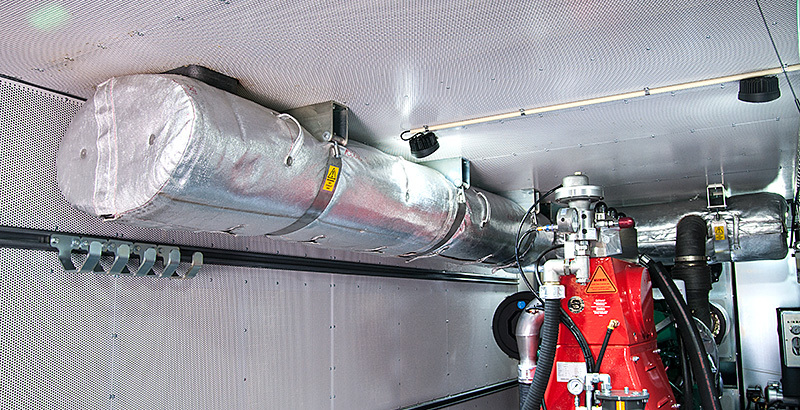 ECOSILENCE features double exhaust silencers with 4,5 m damping length, all heat protected and mounted inside the container. 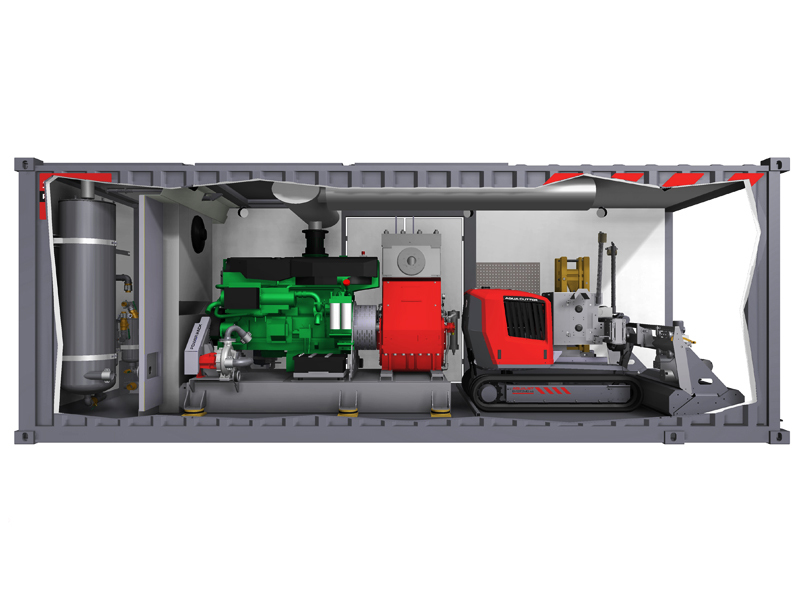 Clean and open design around the engine and pump provides unrivalled ease of access for both daily maintenance jobs such as checking oil levels, and periodic service jobs such as oil and filter changes. This means less downtime with maintenance work and more time for actual work. The Power pack also serve as a portable racing garage for your robot and tools. Basically everything you’ll ever need for your contracts – in one place. All our 410 and 710 robots will fit into our 23’ POWER PACKS. All in one package ready to go to the worksite and no need for an extra trailer. Robot is also protected from unauthorized intrusion inside the power pack during the night. Double water filters that can be cleaned during operation. Radio remote control that can be docked with the robots remote control. Electric kit: Power inlet/outlet, battery charging system.